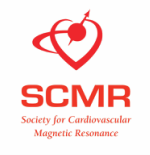 ​SCMR has partnered with CadmiumCD utilizing the Abstract ScoreCard for the submission process. You will find that the Abstract ScoreCard is a user-friendly submission portal with easy to view tasks and navigation to simplify your submission process. Abstracts for the SCMR Scientific Sessions held February 2-4, 2017 - SUBMISSIONS CLOSED. Abstracts for the SCMR/ISMRM Co-Provided Workshop held Wednesday, February 1, 2017 - SUBMISSIONS CLOSED. Abstracts for the Technologist Track at the SCMR Scientific Sessions held February 3-4, 2017 - SUBMISSIONS CLOSED. Cases for the Case Review Sessions at the SCMR Scientific Sessions held February 2-4, 2017 - SUBMISSIONS CLOSED. Regional Travel Award Applications for the SCMR Scientific Sessions, Technologist Track and the SCMR/ISMRM Co-Provided Workshop - SUBMISSIONS CLOSED. Seed Grant Applications for one grant of up to $10,000 will be awarded in 2017 selected from proposals submitted on the topic of "Novel Approaches Towards Quantitative CMR" - SUBMISSIONS CLOSED. 19 Mantua Road, Mt. Royal, NJ 08061, U.S.A.